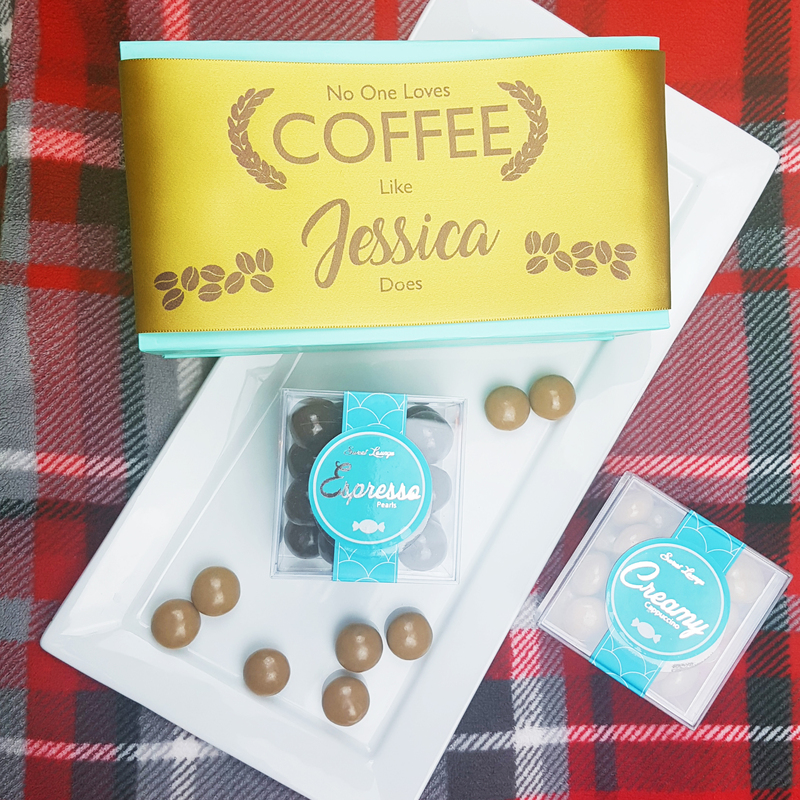 2 Piece 'Lounge Box' with gluten-free chocolates and beautiful personalised satin ribbon with metallic foil print. Great Gift for any coffee lover! Unique Personalised Gift. Choice of ribbon colour. Contains Caffeine (real coffee) please be aware. 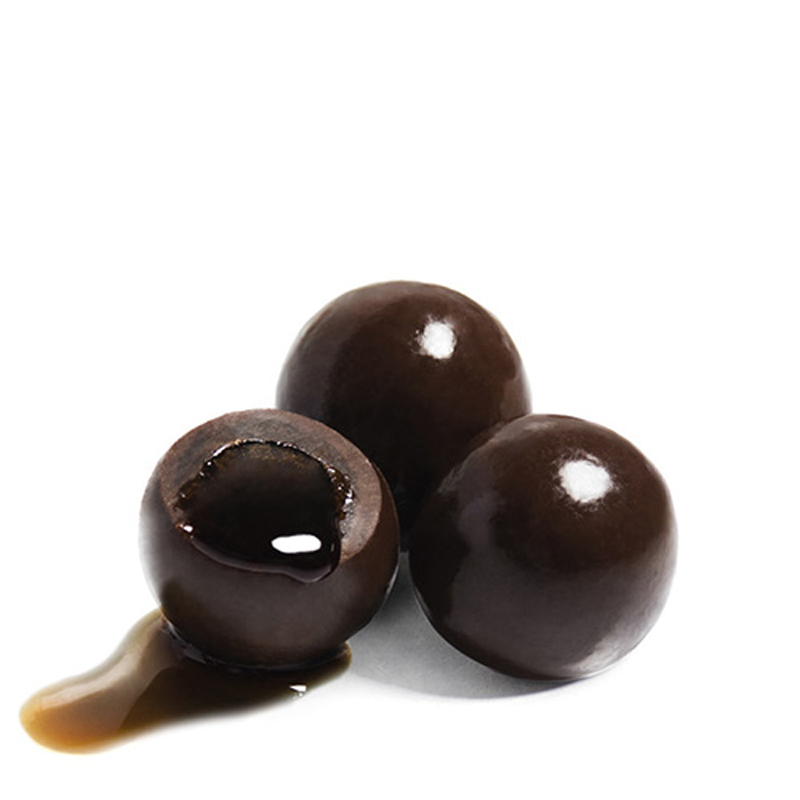 Espresso Pearls- Luxurious milk chocolate centered with liquid espresso and coated in a thin layer of dark chocolate. 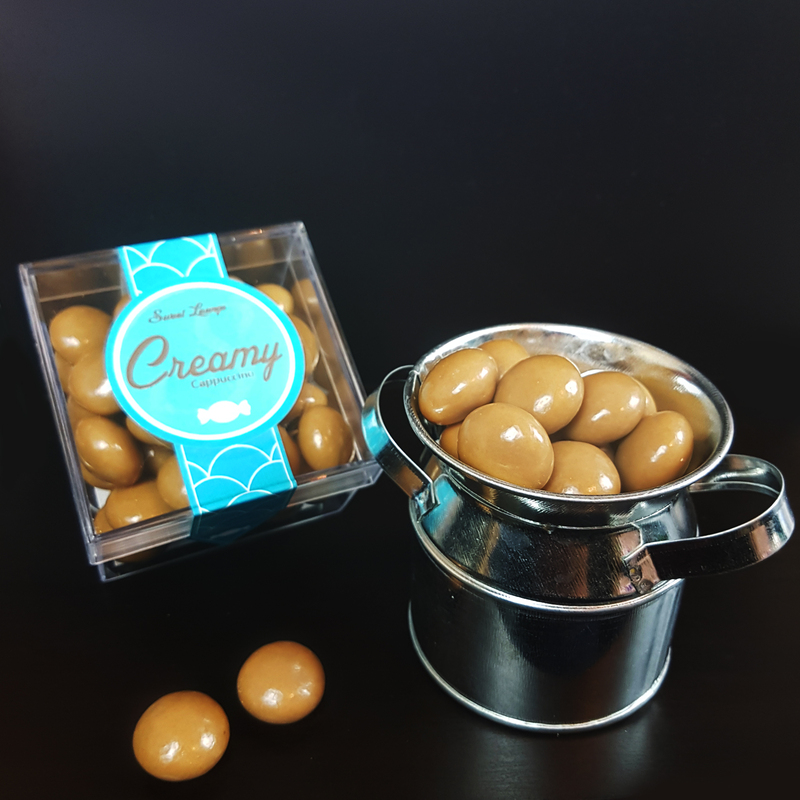 Creamy Cappuccino- A dark chocolate center with an Italian cappuccino flavoured chocolate shell, just hits the spot if you or a friend likes to enjoy a creamy coffee in the afternoon. 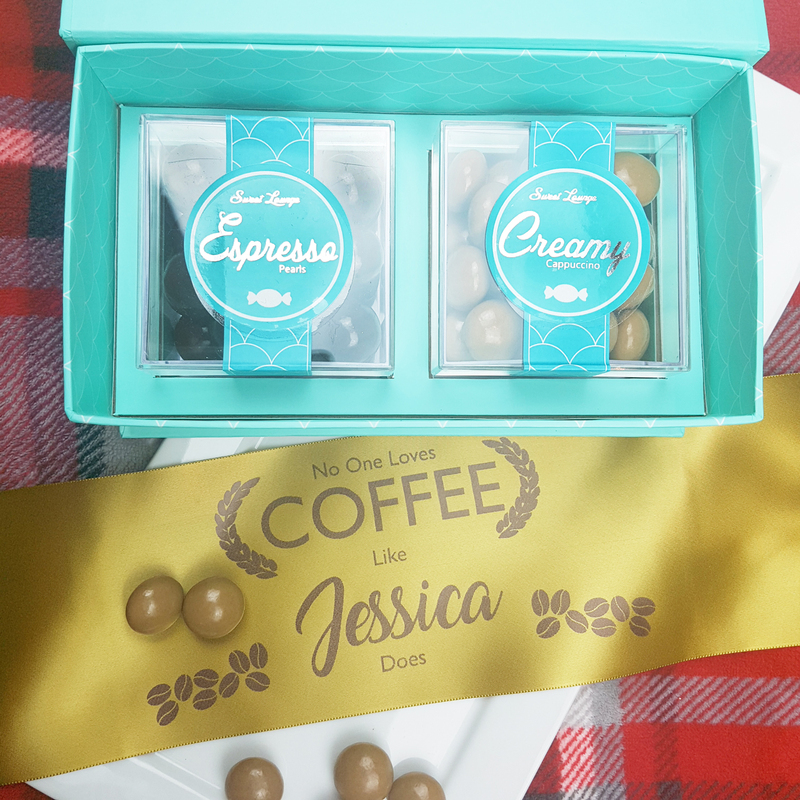 Espresso Pearls Ingredients: Dark chocolate (min 65.4%) milk and white chocolate. (cocoa butter, sugar, cocoa mass, whole milk powder, skimmed milk powder) emulsifier; soy lecithin, natural vanilla flavour, Arabic coffee. thickener; gum arabic. glazing agent; shellac. may contain traces of nuts. Creamy Cap Ingredients: Dark Chocolate (min 67.6% Cocoa) white chocolate, sugar cocoa butter, cocoa mass. Emulsifier: soy lecithin, natural vanilla flavours, arabic coffee. Thickener; gum arabic, glazing agent; carnauba wax, shellac. May Contain other traces of nuts, milk proteins and lactose. May Contain other traces of nuts, milk proteins and lactose. High quality sweets and gourmet chocolates, the finest in the world.